Mallorca Adventure Activities | Mallorca What To Do? There is far more to this island than it’s beautiful coastline and beaches; in fact, outside of the summer months, it’s the perfect destination for Mallorca adventure activities. Walking holidays are one of the most popular reasons for people visiting outside of the summer months. There are over 400km of hiking trails across the island, covering a wide range of terrains; from those treks across the mountains to the much gentler slopes. Cycling across Mallorca is equally as popular as walking and every year the island welcomes thousands of different people on their bikes, including the likes of Team Sky and Bradley Wiggins, as they tackle these spectacular mountain roads. The most challenging route is Sa Calobra, a 10km ride with 26 hairpin turns, 668 metres of climb and a 7.1% gradient. For those holidaymakers looking for something a little more upbeat, they should head over to visit Palma, the capital of Mallorca where over half of the population of the island resides. The town is filled with a multitude of restaurants which offer some of the most delicious local cuisine and a wide variety of shops where you’ll be able to purchase some gifts and souvenirs to take home with you. After your days shopping and exploring the town, why not head into one of the many bars or nightclubs dotted around the town. Palma’s nightlife is exciting and varied, with live bands playing regularly across many of the clubs and bars. There are so many choices of where to eat, drink and dance that you’ll not be disappointed, no matter your interests. Since Mallorca is an island surrounded by warm blue Mediterranean seas, activities fall into two neat categories – what you can do on land, and what you can do at sea! The sky, or horizon, is the limit! 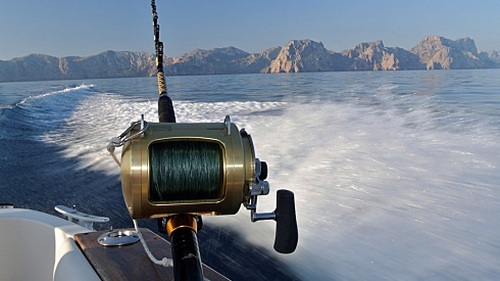 Fishing in Mallorca specialises in deep-sea big game fishing – especially giant bluefin tuna, which can weigh in at over 500 pounds! There's a choice of boats – a Rodman 30, with a cruising speed of 22 knots, or a Sunseeker 37 Sportfish with a cruising speed of 28 knots. Choose from bottom-fishing, big-game fishing and family fishing – and excursions include a fully qualified skipper, fuel, fishing gear, bait, insurance, soft drinks and beer. Here you'll find a great choice of water sports, including the incredibly exhilarating new sport of fly boarding, in which pressurised water (supplied by a hose connected to the board) drives your board into the air or down through the water. Fly boarding sessions include up to two hours with your Launch-Boat, a personal fly board course with a Certified Instructor, cold drinks and music on the Launch-Boat, waterproof cameras taking pictures and videos, plus free Wi-Fi to share pictures on Facebook or Instagram. You can also jet-ski around the local coastline and go on jet-ski excursions for 30 or 60 minutes. 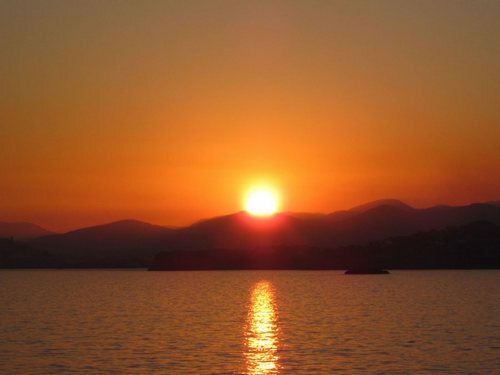 Step aboard the handsome sailing vessel 'Rozamar' and head off from the Port of Pollença at around 6.30pm in the evening for a three-hour sunset cruise. Skipper Jamie will welcome you aboard with a glass of wine or Cava, before sailing out of the harbour to find the very best place from which to watch the sun setting. Along the way, you'll get a chance to visit some of Mallorca's most delightful coves and caves - and if you fancy a dip, you can swim or use the on-board snorkelling equipment and canoes to explore your marine environment. Taking up to 12 people, the yacht is also available for longer skippered charters - and various catering options are available. Discover a fantastic underwater world when you take a cruise on board this triple-decker catamaran pleasure craft, with underwater windows that give you a panoramic view of marine life below the waves. The trip takes in the nearby Malgrat Islands, which is a designated marine reserve renowned for its sea and bird life. 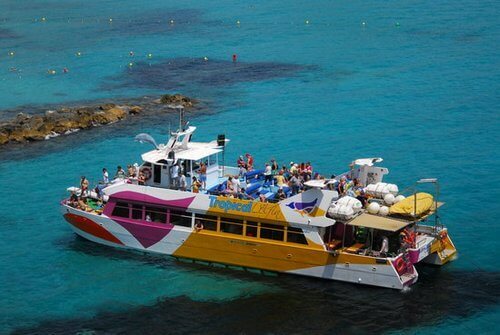 The trip also includes visits to Camp de Mar, Cala Fornells, Paguera and Santa Ponsa, in order to view a whole range of different marine environments. The boat has a capacity of around 20 people, and the main deck is equipped with bar, toilets and entertainment area, as well as plenty of space for sunbathing and sitting back to enjoy ocean and coastline views. Catering for both beginners and experienced divers, this diving school offers a wide choice of diving programmes, which include a simple three-hour introductory course (minimum age 8, participants must be competent swimmers), diving down to around 8 metres. There are also a number of internationally recognised PADI (Professional Association of Diving Instructors) courses on offer, including Open Water Diver, Advanced Open Water Diver, Rescue Diver and Dive Master. 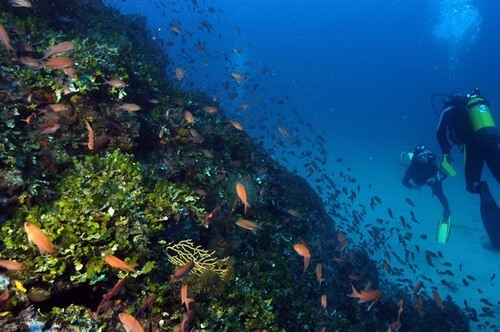 The marine life round Mallorca can be amazing, and dive trips to various spectacular marine reserves can be arranged to suit your interests and experience. The company also runs snorkelling, paddle-boarding and kayaking trips. Located between Sa Pobla and Alcudia bay, Hipica Formentor is easily accessible from Can Picafort, Port Alcudia, Puerto Pollensa and the Palma-Alcudia motorway. Rides start at around 90 minutes, though you can also take a longer three-hour or four-hour ride, which includes a stop for tapas and drinks. There's even an all-day picnic ride into the Tramuntana Mountains, finishing at the monastery in Lluc and returning by minibus to the stables. 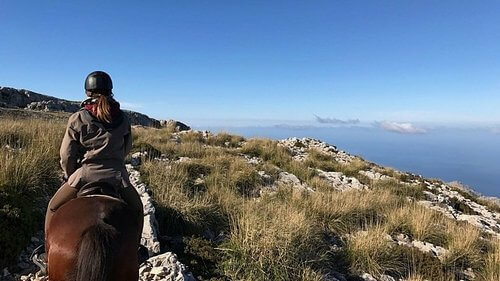 From October until March, the stable offers trail-riding holidays in the Tramuntana Mountains; personal luggage and food for the horses are taken on ahead and you travel for two or three days in the saddle, staying at the monastery in Lluc and at comfortable refuges. The stable offers lessons and can cater for special events - and the horses are docile, friendly and willing, suiting both beginners and experienced riders. 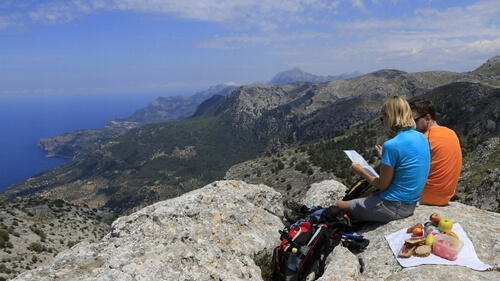 Mallorca Hiking specialises in guided walking holidays, excursions and day tours for people of all ages and abilities. Many walks include cultural, food and wine themes - and all hikes can be tailor-made to suit private walking tours, corporate groups, casual holidaymakers and other island visitors. Walks vary in length from two hours to full week-long hiking holidays; they also vary in difficulty from flat, short walks to long steep hikes in spectacular mountain scenery. All guides are full-time residents of the island with in-depth experience of walking, and with extensive knowledge of Mallorca's culture and cuisine, history and heritage. Guided walks can be conducted in English, Spanish and other languages. 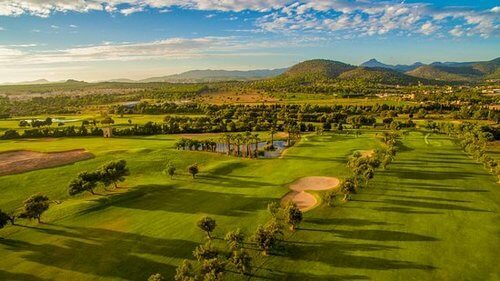 Just 12km away from the city of Palma, T Golf & Country Club offers challenges to golfers of all skill levels. The 18-hole course (par 72) measures 6,430 metres takes in open countryside, stands of pine trees, seven lakes and numerous bunkers. You can play one-off rounds of 9 or 18 holes, or become a member, allowing you to play any time. There are also special offers – discounts, junior rates, ‘Twilight Specials’, plus holiday packages that include hotel stay and golf fees. There's a golf academy, using the latest Flightscope technology and the skills of PGA-certified professionals, with instruction in English, German, Spanish, Italian, French and Catalan. The newly renovated club house has an excellent restaurant and bar, with magnificent views from the terrace. This company is based at the Bodega Jose L. Ferrer vineyard in Binissalem which has been run by the Ferrer family since 1931, producing a variety of white, red and rosé wines. They organise wine trips all over Mallorca, from private tours to open tasting events; these include a Palma wine tour, a Bike & Wine tour, a sunset boat wine tour - and even a helicopter wine tour! 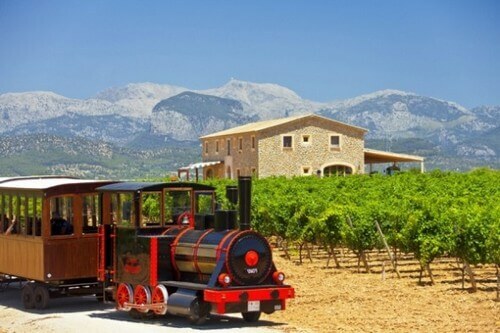 Other tours include a Train Gourmet Tour – a four-hour tour visiting two wineries, with wines accompanied by the best Jabugo ham and cured cheeses. There's also the VIP Finca Experience, which invites you to visit traditional Mallorquin fincas – and, on request, a full meal can be prepared at one of the fincas. The Wine Concert Tour includes the Gourmet Tour experience, followed by a concert of your choice in either Jazz, Classical, Swing or Flamenco musical genres. Bullimoto offer guided scooter tours with all sorts of treats included, such as restaurant reservations, yacht charters and picnics. Catering for groups between two and 30, the company has scooter hire shops in both Palma de Mallorca and Port de Soller, with three types of scooters for hire: Vespa Primavera 125cc 4T Automatic (minimum licence required: B, for at least 3 years); Vespa PX 125cc. 2T Manual - a legendary style icon! - (minimum licence required: B/A1) – and a Vespa Primavera 50cc 4T Automatic (minimum licence required: AM/B). All rentals come with two helmets, 24-hour breakdown assistance and third party motor insurance. Fuel is supplied on a full-to-full tank basis and there is no limit to the number of kilometres you can travel. You'll need to show your passport and a full European driver's licence. If you want to find out more on the activities in Mallorca click this link!